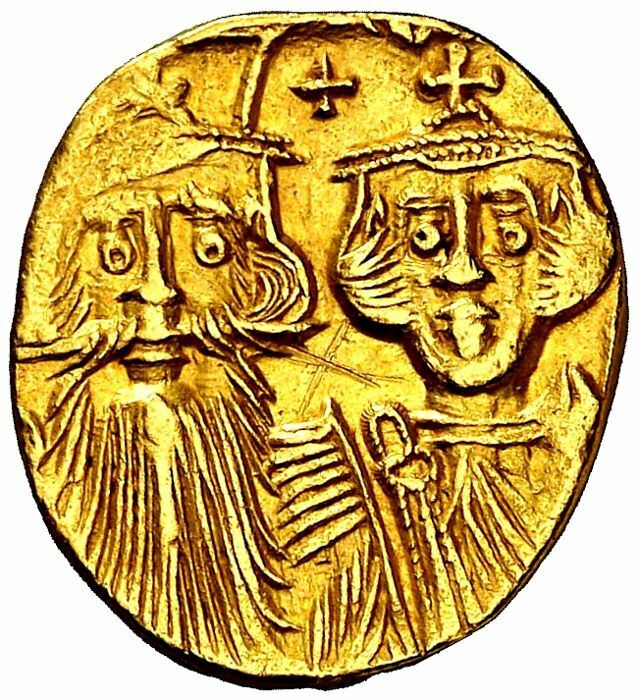 Constans II was emperor of the Byzantine Empire from 641 to 668. He was the last emperor to serve as consul, in 642. Constans is a diminutive nickname given to the Emperor, who had been baptized Herakleios and reigned officially as Constantine. The nickname established itself in Byzantine texts and has become standard in modern historiography. Under Constans, the Byzantines completely withdrew from Egypt in 642, and Caliph Uthman launched numerous attacks on the islands of the Mediterranean Sea and Aegean Sea. A Byzantine fleet under the admiral Manuel occupied Alexandria again in 645, but after a Muslim victory the following year this had to be abandoned. In 658, with the eastern frontier under less pressure, Constans defeated the Slavs in the Balkans, temporarily reasserting some notion of Byzantine rule over them and resettled some of them in Anatolia. Rumours that he was going to move the capital of the Empire to Syracuse were probably fatal for Constans. On September 15, 668, he was assassinated in his bath by his chamberlain, according to Theophilus of Edessa with a bucket.